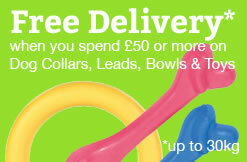 The Jumbo Rope Ball is a tough interactive rubber dog toy that has a rope attached to the ball, so that you can throw it as far as possible with the minimum amount of effort, making it ideal for playing fetch or retrieval games, but also tug of war and should keep your dog occupied for hours chasing the ball on a rope in the park or your garden. 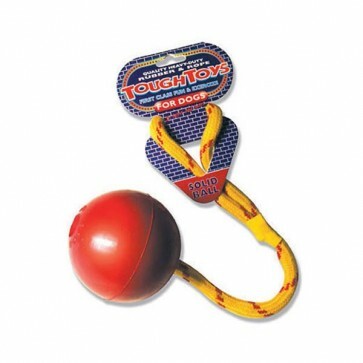 The strong woven rope is durable with a convenient handle to carry and throw the heavy duty rubber ball long distances, making the interactive toy suitable for owners with dogs that have lots of energy. The heavy duty ball weighs approximately 400g, that's made from natural hard wearing rubber with a 11 inch woven rope, making the toy extremely tough and durable, but we advise owners to remove the rope ball from your dog when you've finished playing with them to avoid possible damage to the throwing rope. 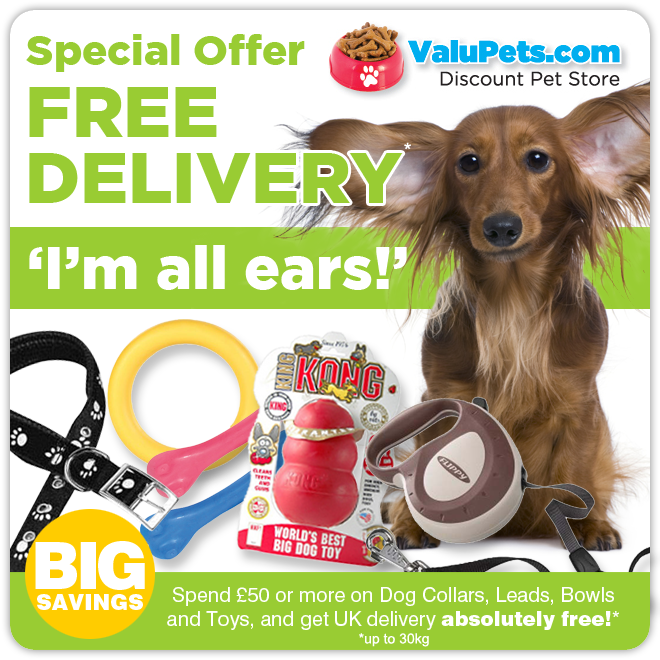 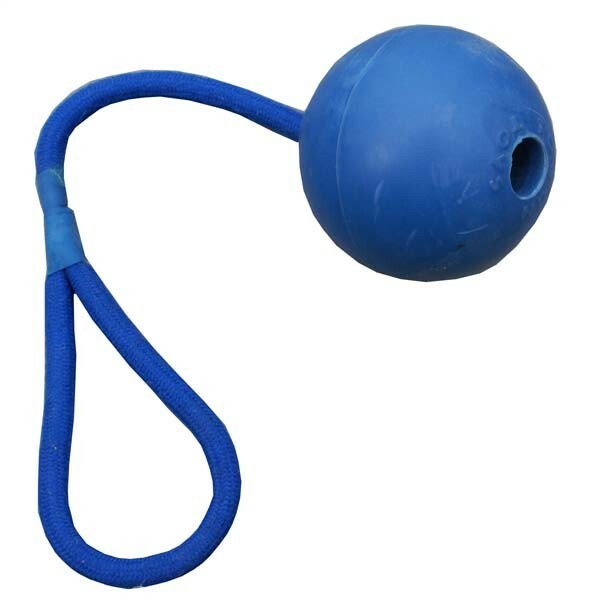 The large rubber ball on the end of the rope is 3.25 inches in diameter, making the ball hard to swallow accidentally and suitable for medium to large dogs that owners can also use for retrieval training, not just for fun and exercise.